PG&E’s success depends on engaged employees who understand, embrace and apply our values to help us realize operational excellence and superior customer service. To drive engagement, we actively cultivate a workplace that unlocks our employees’ potential to be their best through growth and learning opportunities; emphasizes connections with our local communities; promotes a collective vision for California’s future; and seeks ongoing feedback from employees on how they—and PG&E—can continue to improve. Engaged employees feel a sense of purpose in their work at PG&E. They have a clear line of sight between the work they do and PG&E’s goals and success, and they have the capacity and training to make a difference in their role. When employees feel a sense of ownership for our success, they more actively contribute to improving business performance, including in areas such as safety, customer satisfaction, financial performance and environmental leadership. In 2013, we established an Engagement and Culture Steering Committee at the executive level to explore PG&E-wide opportunities to improve engagement and ensure continuous improvement. One of the committee’s many areas of focus continues to be improving employee training, including increased access to career development courses. For example, PG&E’s new leadership development program, Leading Forward, promotes career advancement and strengthens leadership skills. We track employee engagement through a biennial employee survey, most recently conducted in 2014. The survey is one of a number of measures in place to hold leaders at all levels accountable for driving engagement within their teams. The Steering Committee also provides guidance on senior leadership’s role related to taking action around the survey results. We also incorporate engagement measures into line-of-business goals, to drive continuous improvement. PG&E and its unions work closely together in many important areas, such as enhancing technical training programs, fostering health and wellness, building career pathways and implementing numerous initiatives to promote a stronger culture of safety. Approximately two-thirds of PG&E employees are covered by collective bargaining agreements with three labor unions: the International Brotherhood of Electrical Workers (IBEW) Local 1245, the Engineers and Scientists of California (ESC) IFPTE Local 20, and the Service Employees International Union (SEIU) United Service Workers West. A negotiated labor agreement with each union establishes the working rules and other terms and conditions of employment. These employees support areas critical to our business, including gas and electric operations, customer service, power generation, environmental and land services, telecommunications, and shared services. A wide range of employee-led initiatives play an important role in engaging employees throughout the business. These include grassroots initiatives focused on safety, wellness and environmental leadership, as well as ambassador teams that provide engagement opportunities within their lines of business. Also, more than 4,800 employees—more than one-fifth of PG&E’s workforce—participate in our Employee Resource Groups (ERGs), each of which contributes to building an inclusive culture at PG&E. Each year, we honor employees whose work at the grassroots level embodies our highest values—such as safety, diversity and inclusion, environmental leadership, innovation and community service—in our annual Employee Champions Awards ceremony. We also drive engagement through employee volunteer and giving programs. 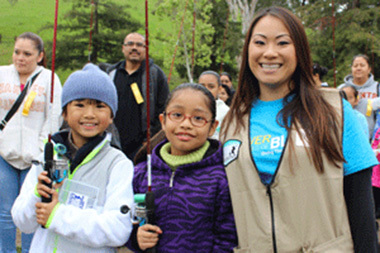 Our volunteerism efforts continue to grow, in part because PG&E’s community investment program prioritizes initiatives that offer opportunities for employees to volunteer. Our efforts are supported by local leadership teams that spearhead employee engagement opportunities in local communities. PG&E also actively supports local nonprofit organizations through board service. Among officers who have been with PG&E for more than a year, more than 80 percent serve on nonprofit boards such as the California Academy of Sciences, the American Red Cross, Habitat for Humanity and Meals on Wheels. Other PG&E employees are also consistently sought after as members of nonprofit boards for a wide range of organizations. Set a PG&E record for employee volunteerism. Employees at every level logged 75,000 hours of community service in 2014—the most volunteer hours in our history—outperforming our goal of 50,000 hours by 50 percent. When multiplied by the California industry-standard value of $26.87 for a volunteer hour, this represents more than $2 million in equivalent labor. Achieved record participation in our biennial employee survey. More than 18,000 employees—83 percent of our workforce—provided feedback, underscoring our progress toward creating a culture where employees feel comfortable speaking up and bringing issues forward. The overall engagement score continued to outperform the utility industry average. Collaborated with our unions to improve safety and other working conditions. During the past year, PG&E engaged with our unions to adapt and improve existing agreements related to more than 60 issues, including changes to benefits, working conditions, new technology and other factors. This process allows PG&E and our unions to continuously improve working conditions, rather than waiting for the next round of contract negotiations. In an agreement with the IBEW, PG&E established new lines of career progression in our gas organization. These career paths, along with standardized training, increase promotional opportunities and better enable employees to develop expertise in a focused area. 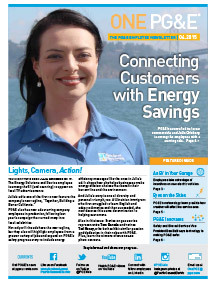 Titled “ONE PG&E,” our employee newsletter celebrates the many stories of our workforce and helps them share our progress with their friends, families, neighbors and our customers. We launched new television, radio and online advertising in local markets, featuring employees from those neighborhoods who are working to make a difference for customers. The ads respond to customer feedback asking for more details on PG&E’s progress. 1 Refers to the percentage of favorable responses to questions on an employee survey that measures employee engagement. The employee engagement score from our 2014 survey was 70 percent—holding firm at the strong level we saw in our 2012 survey. At the same time, this score fell short of our target of 75 percent, and the survey indicated several opportunities to continue improving our internal processes, information flows and collaboration. To address these concerns, we are launching initiatives—both in individual lines of business and across PG&E—that will help us make improvements in these areas. In response to survey feedback, PG&E leaders are developing and implementing targeted employee engagement action plans, with measures in place to hold leaders accountable for driving engagement within their teams. In 2014, the total number of employee volunteer hours more than doubled from five years ago, exceeding our volunteer target by 50 percent. For 2015, we set an ambitious goal of 79,000 hours from employee volunteers. PG&E’s Campaign for the Community is an annual employee and retiree giving campaign. Employees can pledge a percentage of their salary and direct their donations to schools and nonprofits that are important to them. 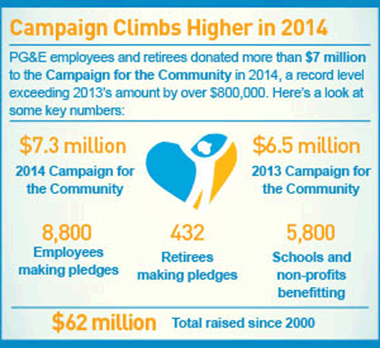 In 2014, employees and retirees pledged $7.3 million, exceeding our goal and setting a new record for PG&E. Pledges were made by more than 9,200 employees and retirees, an 18 percent increase over 2013. The funds will be distributed throughout 2015 to more than 5,000 schools and nonprofit organizations. Since 2000, PG&E’s employee giving program has raised $62 million. 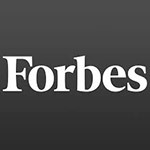 Our employees participated in a Forbes Magazine survey in 2015, and the results highlighted many of the reasons they are proud to work at PG&E. The study, which surveyed 1,100 employers in all industries who employ more than 2,500 people in the United States, ranked Pacific Gas and Electric Company among the top 100 best employers, and the second-highest utility company. Through our executive Engagement and Culture Steering Committee, we will continue to lead an enterprise-wide employee engagement strategy that leverages the strength of local action plans within all lines of business. This approach will allow us to address engagement issues that are larger than any given organization and ensure that priority issues have visibility and are incorporated into PG&E’s long-term strategy for improvement. We will continue to target our efforts to drive employee engagement and respond to our employee survey results, which we will benchmark with others to share best practices. Our ultimate measure will be our next employee engagement survey in 2016. We will also continue stepping up our community engagement through volunteerism and our work with unions in a variety of areas, including establishing new career paths to build the skilled workforce we need.